This tuxedo cat face pendant (optional necklace) makes a "purrfect" gift for the cat lover! 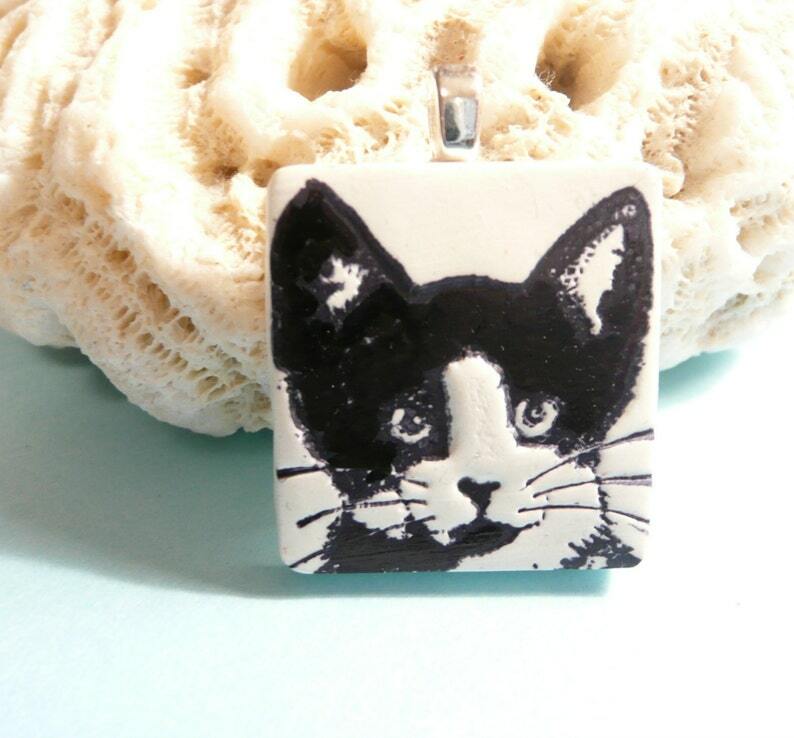 The lightweight square pendant measures about 1 inch x 1 inch (2.5 x 2.5 cm). OPTIONAL CHAIN: Add a pretty shiny silver plated 18 inch vintage style chain, with oval loops approximately 3mm x 4mm and a lobster clasp closure. See 3rd photo. Artsy Clay creations are handcrafted with loving care and approved by Grandcat Seamus. Looks just like my kitty! I love it!